Brilliant Creatures DVD - On Sale Now With Fast Shipping! Man Booker Prize Winner Howard Jacobson sets off on a journey of discovery to understand why Barry Humphries, Robert Hughes, Germaine Greer and Clive James left Australia in the 1960s and how they became cultural giants in London and New York. 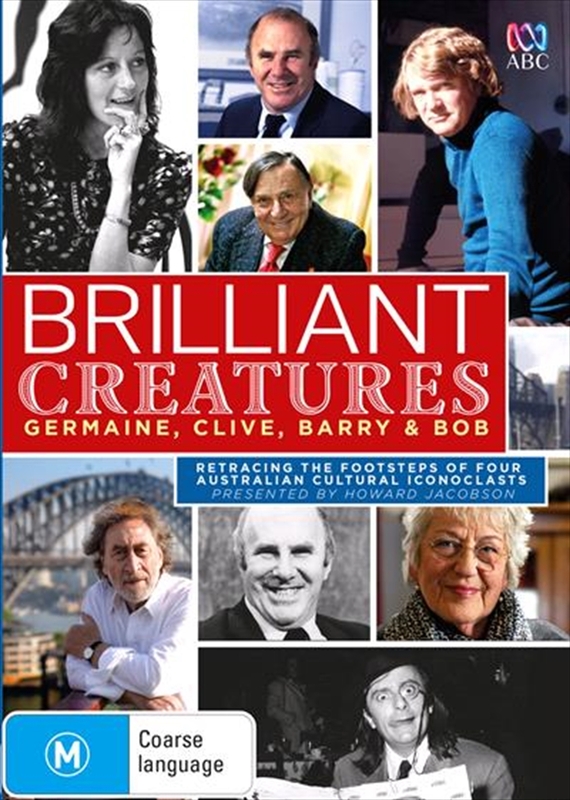 In the immediate aftermath of the death of Robert Hughes, this revelatory series celebrates Australia's own 'Wizards of Oz' four people who left the 'cultural desert' of Australia in the 1960s and '70s and became icons or iconoclasts in the cultural heartland of the West. This documentary series, hosted and authored by Booker Prize winner Howard Jacobson, retraces their footsteps from Australia to Britain and beyond, and ponders the irony that Britain sent convicts to Australia and, in return, Australia sent its best and brightest, the irreverent and the irrepressible.